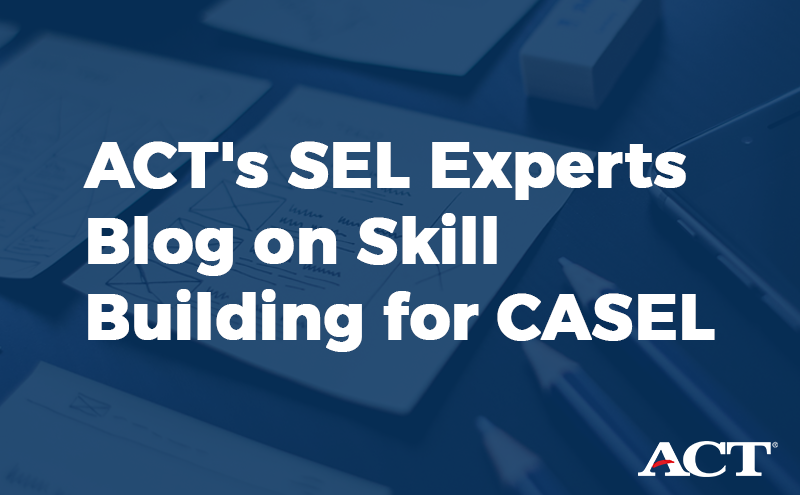 Recently, ACT researchers and SEL experts published two blogs on the Collaborative for Academic, Social, and Emotional Learning's (CASEL) website to discuss advances in SEL skill-building. View excerpts and links to the full blog posts below. By Steven Manning, Ph.D. candidate, Jason Way, Ph.D., Alex Casillas, Ph.D.; ACT, Inc.
Educational leaders continue to recognize the value of enhancing social and emotional learning (SEL) and the importance of developing and measuring these skills in youth. Along with core academic skills, such as math, science, and English language arts, developing SEL skills has a positive impact on students’ success through their education and into their professional careers. 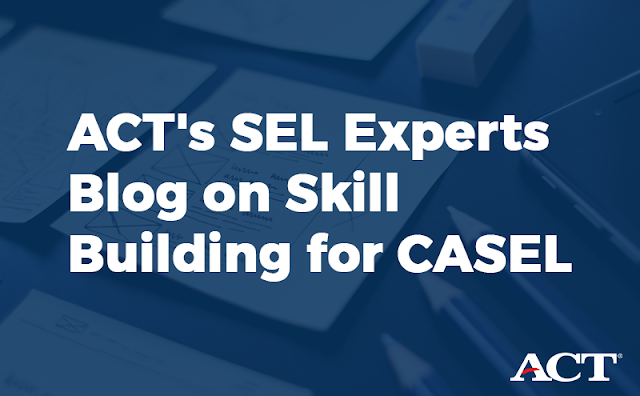 Because measurement of SEL is relatively new when compared to core academic skills, it is often unclear which skills are appropriate to expect of students from elementary through postsecondary school settings. By Jonathan E. Martin, Director of K12 Consulting Services and a member of the SEL team at ACT. Who are the figures most important to the work of developing Social Emotional skills in the students in our schools: Teachers, Parents, Administrators, or Counselors? How easy it is to forget that the best answer is always the student him or herself!